eBooks are the current medium for developing businesses; particularly brand and content development. Content marketing is an incredible way to gain prospective customers by creating content, which is available free of cost to be viewed by masses, and helps establish a relationship between viewers and the business. Audiences are attracted by the content, which should be ideally engaging so that clients would be willing to buy the products offered by a business, and then eventually become regular customers, contributing to sales. Setting personalised content goals is very important for your business development plan, and even more so, for taking the brand awareness to a higher level. Many expert content marketers now opt to use eBooks to build their content framework which leads to success. We want you to do the same! eBooks are an easy source, which compiles the content in the best and most comprehensive way to help you close the sales. It is a tool for lead generation which allows you to display your authority for in-depth content. It helps you develop marketing strategies and persuasive copywriting techniques to reach out to your customers in best possible ways. eBooks also compliment in achieving various means of communication. Electronic or digital books are available for purchase and can be downloaded online by content marketers. eBooks have taken the world by storm because of their easy accessibility and low storage requirement. They are a preferred source of information today. In 2017, approximately 266 million eBooks were sold in the United States alone. 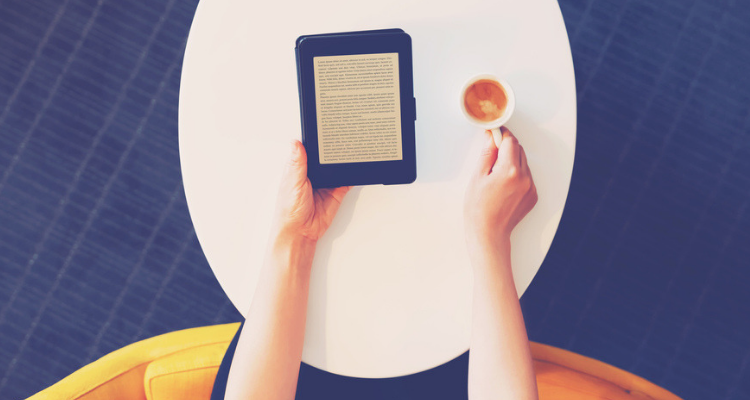 Print format is still favourable to old book consumers, most probably for nostalgic purposes, however; in 2018, 20% of book consumers in America claimed they read at least one to three eBooks in the past year. Rising popularity of eBooks does not come as a surprise, considering, almost everyone has an online presence. The internet has become a world of its own and the content viewed online is consumed and believed greatly, especially by an average American millennial. There are numerous benefits of using eBooks as a strategy for content marketing. Setting content goals is crucial for a lucrative content marketing strategy. Audiences can see through the content that is produced just for the sake of publishing, meaning, that it has no actual worth or value to anyone, nor is it targeted towards any specific audience. Some businesses might focus on quantity over quality but it is quality that drives the sales. There are several eBooks by established marketing experts who share their strategies on how to engage audiences, create and direct traffic, and produce content, which helps connect to the target market and ends up improving business revenue. The format you choose to create content should largely depend on your marketing goals. Therefore, your goals must be focused and you company must have a clear vision regarding its products. You may choose a pdf version which can be uploaded to your own site and is available to purchase. On the other hand, like some businesses, you can have an EPUB format version that can be uploaded to popular online book purchasing stores such as Amazon. You can decide which format is more suitable for you. A PDF version is relatively easier to create and download. It can be shared online via email or uploaded on a website. If the content you want to publish is graphics-intensive, then pdf is a smarter option. Also with its user friendly availability, anyone can compile the content easily, even if it is your first time doing so. EPUB format has a slightly different way as it is read. Besides, it needs a few more files that are added before reading content on a tablet, smart phone or a computer. However, you can use eBook maker software to help you in making your first eBook for your business. The importance of online marketing in this tech frenzy age cannot be stressed enough. Nevertheless, trends on internet are ever-changing; what worked a week ago may not work later in the next week, so content marketing tools like eBook needs to be constantly updated. As a booming business you need to get more customers and retain the loyal ones for which your content has to be super-professional, relevant and attractive enough to convince audiences to initiate a connectivity with you. A powerful content is an asset for a company as it builds customer relationships. A useful resource in understanding the social media and how to manoeuvre it to ensure that your product is marketed at its max is no easy task. It requires planning and research, importantly demanding time investment. For any business to prosper, time is of essence. An eBook, a good one at least, that does most of the research and planning for you, can save your time in giving a head start to implement your preferred ideal strategies for creating content. Since they are easy to generate and share, they can produce most of the conversation you need to advertise your product. Having an eBook helps you maintain compelling content for your website, even if you have a tight budget. It helps you build an effective content team and provide content reward for awesome pieces. It helps you come up with creative content ideas, all within a limited budget, so eBook is a cost-effective tool in enhancing your company brand. You can also use it to expand your email list by including employees for content distribution. eBooks give a boost to your content as well as the business because the publishing cost is low and portability makes it a favourable choice among millennial readers and business developers. The eBook comes with a sense of authority that can be easily looked over in a blog post maybe, and will make audiences use it more seriously as well. Try it to achieve your content goals today with an eBook.